COPENHAGEN – My second day at CPH:DOX started off just great: Wet eyes throughout the documentary “Joe Cocker : Mad Dog With Soul” by John Edginton. And did it help that Mr. Edginton was in the audience and spoke to us before and after the film? Well, yes, actually it did: I learned what might seem very obvious, but that is that with a small budget, and huge constraints on the copyrighted clips of other people, without any interviews by the director of his subject, it is still possible with a strong enough story and subject matter to create a film that fills our eyes with tears for 90 minutes. 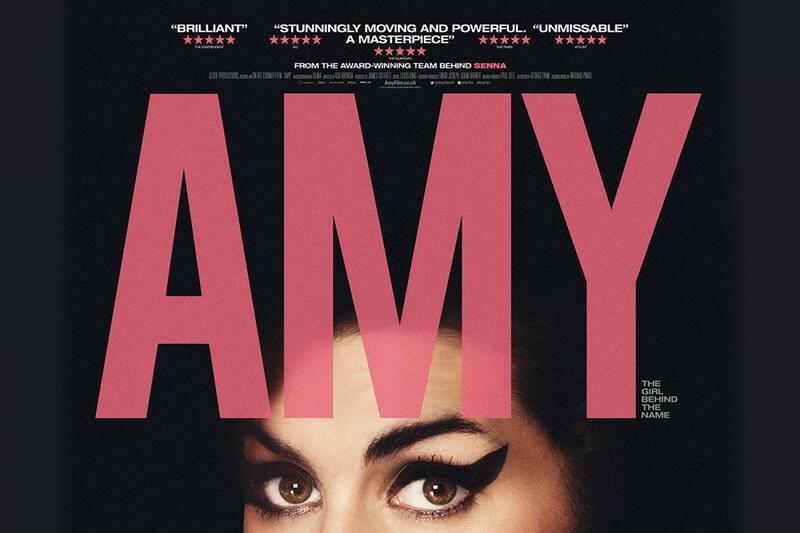 A few times during the film – this was its international premiere – I made the comparison to “Amy” by Asif Kapadia, since he too used clips made by other people and never interviewed Amy Winehouse. But Amy was done, according to Edginton (who also directed “Pink Floyd: The Story of Wish You Were Here” and “Genesis: Together and Apart”), with a much bigger budget. So it was possible for Kapadia to procure all of the material he needed, or that was available. I assume – he might say differently. Whereas Edginton explained that with Joe Cocker: Mad Dog With Soul there were many interviews he could not do, many clips he could not buy, that he would have liked to have. And one that he DID have – a hugely touching moment between Ray Charles and Cocker – that he said would have cost half the budget of the whole film had he said “yes” to the first asking price! Anyway, let’s forget those negatives: This film is a fairly traditionally assembled documentary about Cocker, with interviews with his brother, former early band members, managers and his wife Pam. The very few times we actually do see Cocker talking, are enough, though, to understand the many, many times we hear from other people – including Glyn Johns – about what a sweet, kind and gentle man Cocker was. Oh, he also had a very nasty streak, ending friendships or business relationships – out of the blue – and never speaking to the people again. But in some ways, I am reminded of Amy Winehouse, another drug addict and doomed personality, who is washed along through life by the forces outside of them – other people – without the strength to stand up for themselves. And you just want to reach out and help them. And in both cases, they nevertheless had their exceptional careers thanks entirely to the ethereal talent they possessed. Cocker, on the other hand, did find a kind of happiness and equilibrium that Amy never did. And it is precisely that talent, and that personality of Cocker that made this film hold me from the beginning to the end, and kept those tears in my eyes. From a horrendous-looking neighborhood of row houses in Sheffield where he was a plump little gas-fitter – like a plumber but for fitting up gas – to an icon of the 1960s singing “A Little Help From My Friends at Woodstock” and through to his huge hit songs of the 1980s while in his 40s, rising up from addiction and failure and breakdowns time and again, it was just such a touching story. And all the more so, no doubt, in that I could not really see Edginton’s craft at work – he was not, as far as I could tell, employing techniques to grab the viewer’s emotion. He didn’t need to. Cocker did all that. I had been looking forward enormously to seeing Asif Kapadia’s documentary film about Amy Winehouse for many for strong reasons. One was because I had become a fan of Kapadia’s work through his film about Ayrton Senna, from 2010, which I had been drawn to and wrote about in my professional capacity as a journalist of Formula One racing, but not as a critic, and I was very keen to see what Kapadia would do as a follow up to that. My interest there was that having interviewed the filmmaker at the time of the Senna film, I remembered strongly him describing how one of the biggest challenges and pleasures of making the Senna film was that he was forced to use footage that was all taken by someone else, as Senna had long since died. So here was a filmmaker who also said that one of his biggest concerns in making a film was an overall “look” to the film, using television footage, family footage, and just whatever footage he could get – press conferences, etc. – to string together a dramatic narrative and to somehow make sure that the whole held together as if emanating from the same central source. With Amy, I realized as soon as I heard about it, Kapadia would have the same challenge, except with a completely different subject matter, and at a much later time in history, when there would likely be a lot more better quality footage than there was of Senna, given the spread of handheld personal cameras, cell phone cameras, as well as the amazing TV and concert footage that would have existed surrounding one of the most popular pop stars of the last decade. I was also, therefore, very keen to see how Kapadia would make a music documentary, as well, using music footage – and crappy quality videos by friends and family – and blending the whole thing together into a comprehensive narrative. So how did it all pan out, then, in terms of fulfilling my expectations, or giving me things I did not expect, etc.? The first thing I want to say, is that like the Senna film, I will definitely go back to watch Amy again, and maybe even more than once. Unlike with the Senna film, I will be doing that with Amy simply because I enjoyed the film and really want to experience it all again to further my understanding of her, of the film, and simply to live it all over again. Quite simply because I know I loved the film. With the Senna film, as someone who knew the subject matter as a professional Formula One journalist, knew the subject matter like the back of my hand, and who already had copious opinions of my own about Senna, and the Senna-Alain Prost battle, and someone who had seen much of the actual footage over the years before it was shaped into a dramatic film, it took me several viewings of the film to decide that I did really indeed like the film. It had been highly rated everywhere, and when I first saw it, I admit to a little bit of a let down, in terms of, “Why has there been so much fuss about this? ?” I believe the reason was because for me Senna was not news, but for the general public, he was a sudden discovery. With Amy, on the other hand, there are probably a lot of people who were close to her who have criticisms of the film, and surprises, and things that they expected to see that are not there, etc. But I could not have those ideas, not knowing anything about her. Well, except for a few general gut-reactions, such as, for instance, is it really possible that a diva like Amy could be such a “nice” character? She is only really nasty once in the film, when she has been let down by her father who appears on holidays with a camera crew, and all she wanted was to see him; so when he asks her to sign an autograph of a couple of tourists, she does so, but makes a nasty, cutting comment to the couple. I just find it a little hard to believe that such a complicated and emotional character as Amy did not also have some very nasty, angry, cutting sides to her in her personal life – and we don’t see them. On the other hand, I’m ready to accept that she was just a doll, a victim, a sad person manipulated by everyone around her, who finally succumbed to her helplessness. That’s possible; and her hopping from guy to guy even while married is certainly not a sign of a pleasant character, but it remains unexplored in the film. Having said that, those were really my only expectations that were let down, and the beauty of this film is that Kapadia has gathered together in an even more masterful manner than with Senna the film footage and woven together a story that makes us feel really like we are living intimately with Amy Winehouse in her world. There are many moments in this film where we feel as if the scenes were shot by a director for the purpose of the story. It is exceptional for a film made of “found footage.” I’m talking, for instance, about intimate moments of film footage in cars with friends, just playing around; or when she is with her husband Blake, and talking in front of the camera as they walk down the hall of some building about the great moment to come of escaping to a toilet to make love. (The language is more raw than that, by the way.) It really feels like you’re with her, in the life of Amy. The way he used the various qualities of footage was also a revelation for me, or no, not a revelation, but a reassurance: As someone said to me a few years ago when I was depressed about the lousy quality of some of my documentary’s footage, it’s the story’s subject matter that counts the most in a documentary, and the audience is ready to forgive a lot of bad quality if the subject is interesting enough. That person said something to the effect of what was the most electrifying, most watched and crappiest film footage that ever existed? : Neil Armstrong taking a first step on the moon in July 1969. And that is what really shines through this documentary for me from beginning to end; the story is riveting. It is a tragedy, it is a success story, it is a beautiful woman with a giant talent, and unrealized potential. Dying young, at 27 (yes, like Joplin, Morrison, Hendrix, and others), like Senna at 34. And the music in all of this? The moments of Amy singing just shine through in a way that feels as if there is a kind of light from somewhere else in the universe that suddenly materializes and carries us away through her enormous vocal and emotional talent, shining in and cutting through the chaos and horror and sadness that was her daily life. A victim of a bad upbringing, a crappy boyfriend, manipulative father, well-meaning managers who just didn’t have a clue, through it all came this electrifying, pure and monumental voice and music. Which is made all more exceptional when we see her incapable of being able to sing on a stage in a concert she did not want to do after a period of good health and during a moment when she no longer wanted to sing the same songs from “Back to Black,” but wanted to advance and move forward. And the extraordinary footage with Tony Bennett when they are recording and the first thing she sings comes out sounding like some of the great female vocals of all time, and she stomps off, saying something like, “Oh, I can’t do this, I’m sorry, it’s terrible…” He rassures her, and she says, “I have to get it right….” It reminded me once again about how little good great talent ever did to the possessor of it…. The end feeling for me was, “if only.” Yes, I ended up feeling after the film the same way I did in July 2011, “If only” some little thing had happened that led her to an insight into how to live a liveable life, but still to produce great music. It makes you wonder if that is possible, but the answer is that she wrote Back to Black in a period of lucidity, not in a time of drugs to the point of overdose, and partying in Camden Town amongst the destructive “friends” who were incapable of doing anything to help her find her way. OK, this blog post is really, really rambling now. The best thing to do is to go and see this film. Maybe you will agree with my thought that another thing this film has over the Senna film is that Amy Winehouse’s soundtrack is certainly more accessible to a larger public than the music of a Formula One engine from the 1990s….